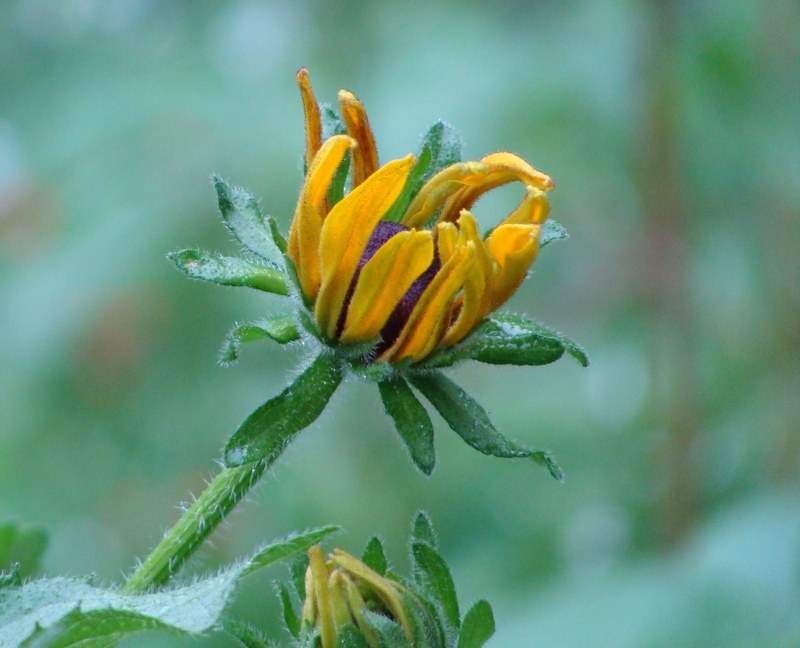 Gloriosa Daisy opens his eyes, looks around and says “Oh Yeah! This is gonna be a great year.” Old Gloriiosa has been striving to bloom for weeks now. He’s very nearly there. Striving. Striving to bloom. Striving to lead. Striving to be the most awesome flower ever! Nasturtium looks up from below and cheers him on. “Come on Gloriosa. 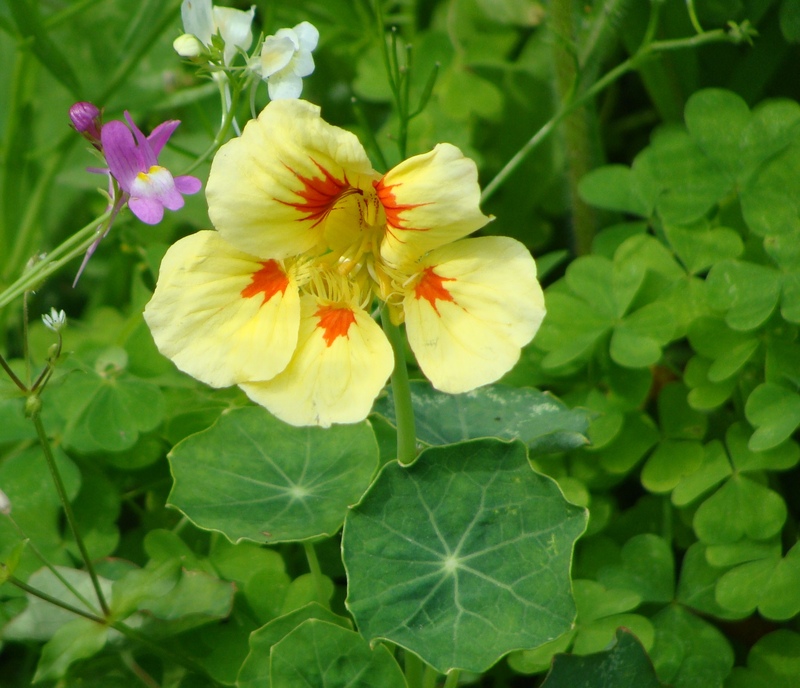 We believe in you.” says Nasturtium. Red Red Rose agrees. “Come on Gloriosa. Everybody is watching you. But you’d better hurry.” “Because I’m ahead! You’re playing catch-up!” Poppy doesn’t say a thing. Poppy knows what she has in store this year. 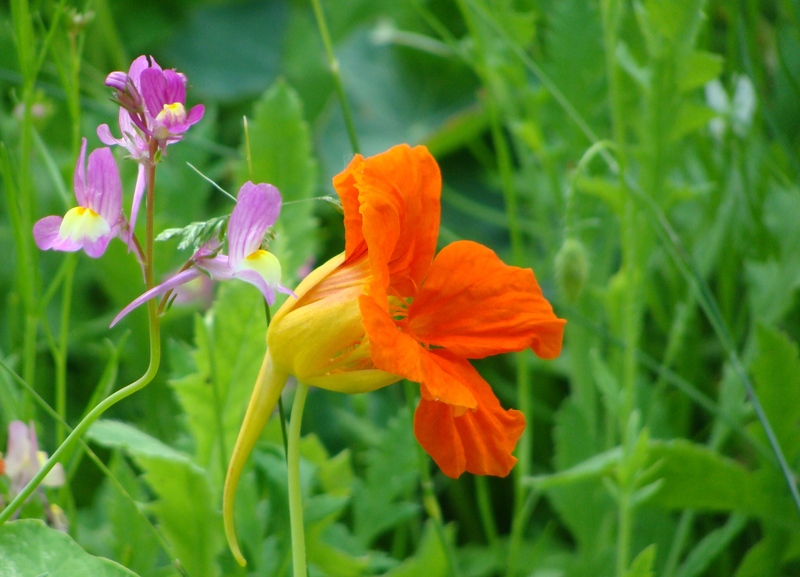 She’s neck and neck with Gloriosa on bloom and thinks she might just overtake him on summer spectacle. Yep. 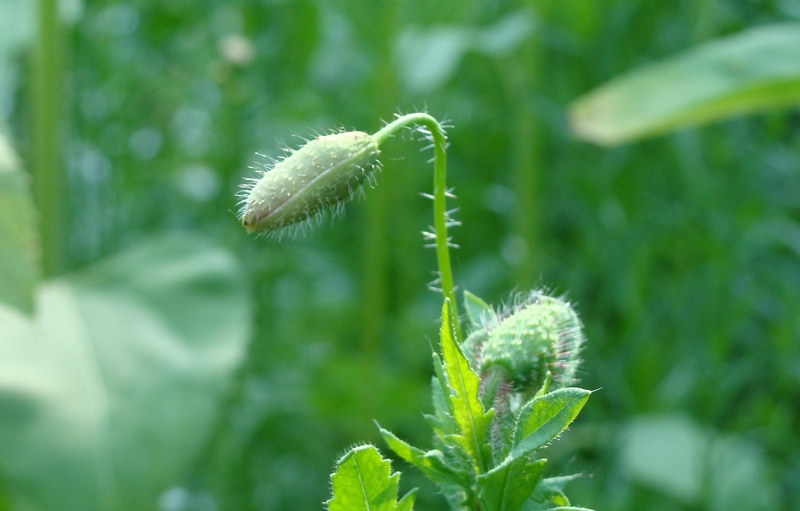 Poppy is striving too. Poppy thinks this might just be her year. Spiderwort enjoys the show. Old Spiderwort was here long before these showy garden flowers came and will probably be here long after they are gone. 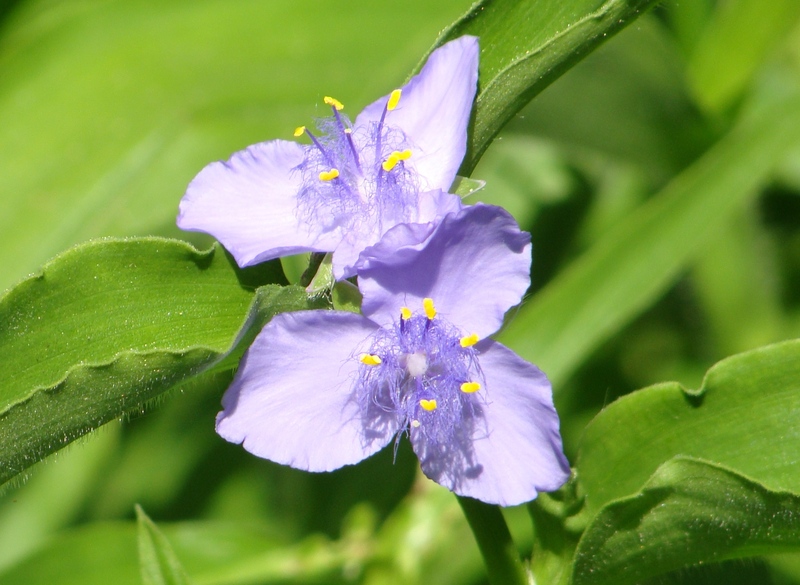 But Spiderwort loves the sense of friendly competition and just adores all the colors. Spiderwort thinks all this striving is the way to be! Tiger Lilly wishes she had some of the gumption of those summer bloomers. Tiger Lilly strives. Oh yes, she strives. But she struggles too. She may strive but she just can’t thrive in this garden like some of the other flowers. 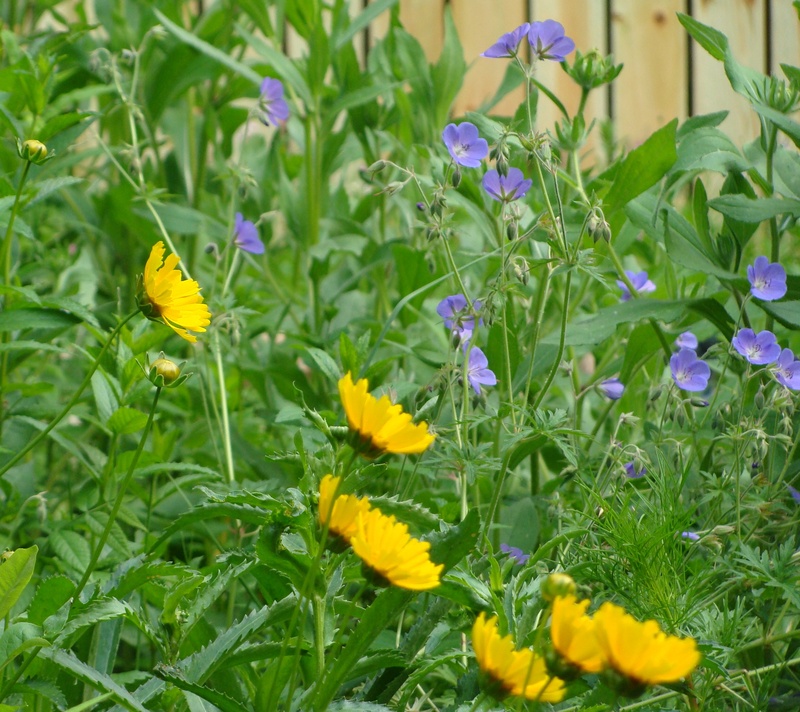 Wild Geranium and Coreopsis laugh. They’ve had their time. They prefer the late spring bloom. 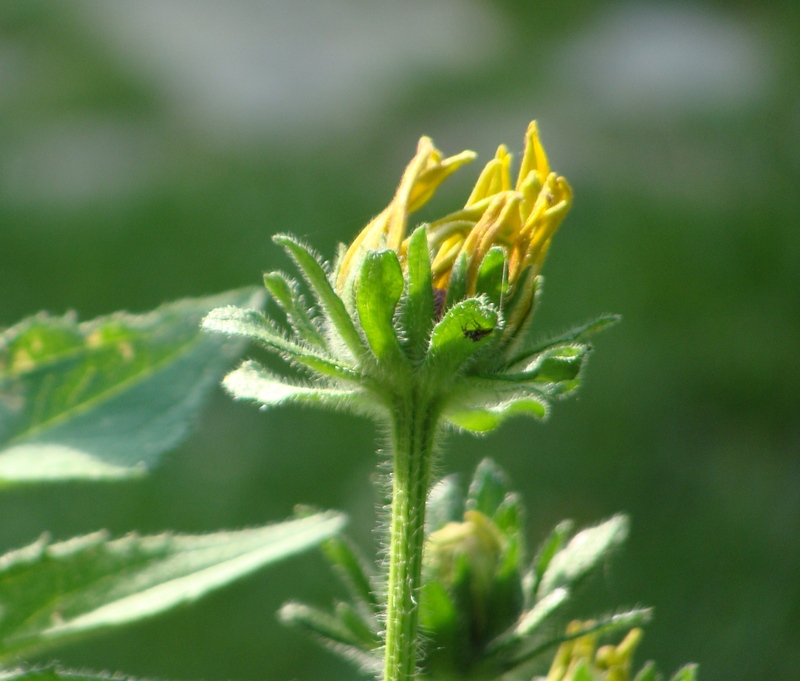 Now as summer gains force, they will bow out and let the others reign supreme, but it sure is fun to watch those summer bloomers strive for attention. And strive they do. Striving to be beautiful. Striving to be awesome. Striving to do their part to make the garden wonderful. Beautiful, Jim. 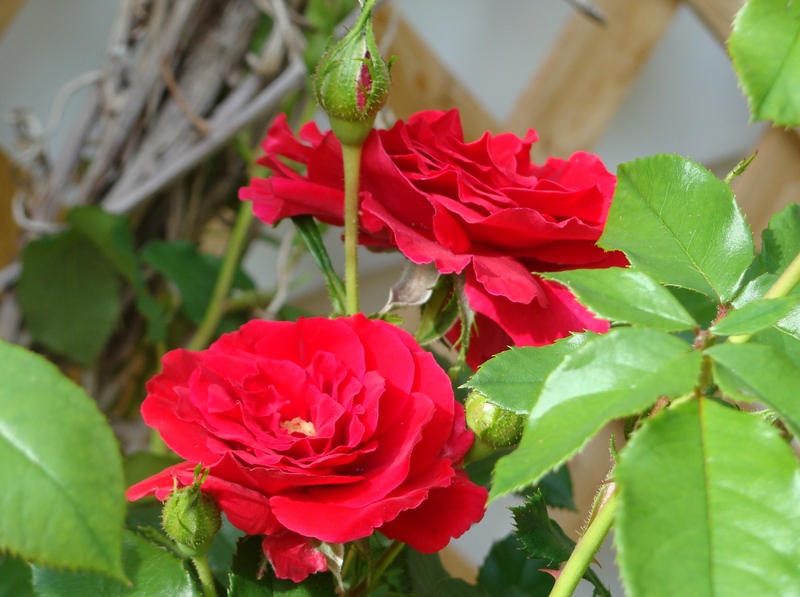 You take such lovely photos and the life and soul of your garden are expressed well. Hmmm.. sometimes I think my garden has caught up with yours, but right now, I think not. Our Gloriosa is nowhere near ready to bloom. 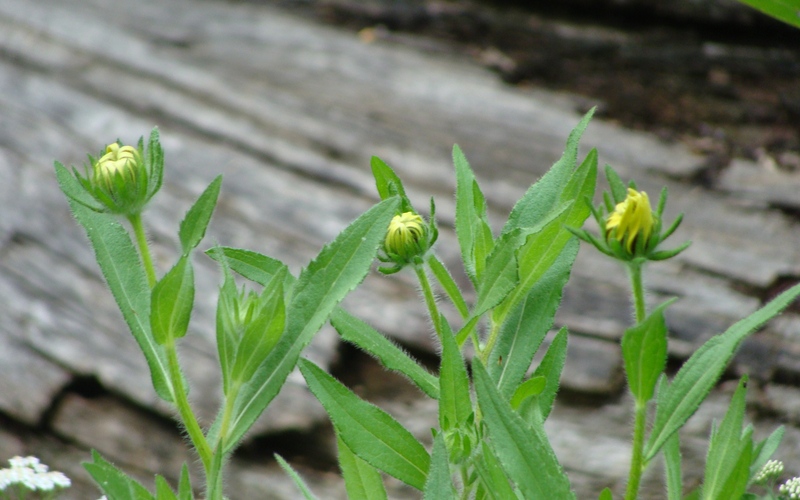 Other than the shy night-bloomer, and one early day lily, our yellow stuff is nowhere near blooming. We’re still in our pink, purple and blue phase here at the old farmhouse gardens. 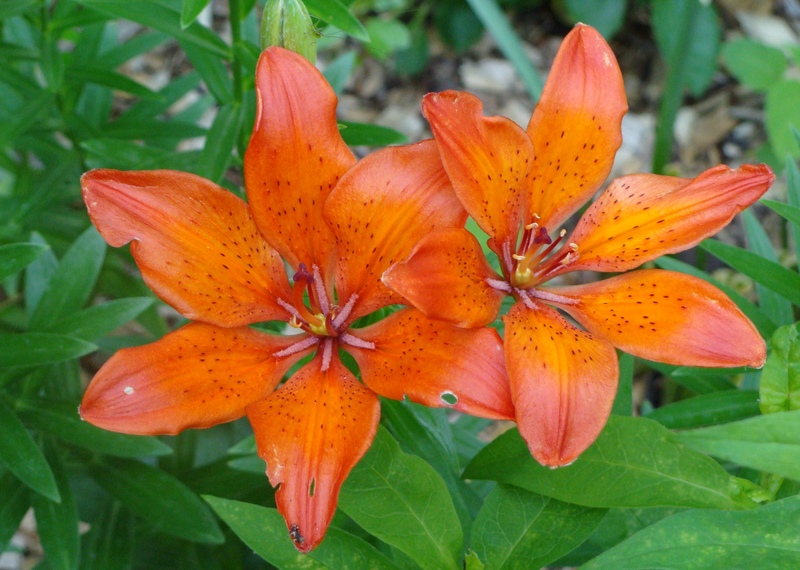 I love the tiger lilies! Me too. I wish they didn’t struggle so. Some plants thrive here – the lillies do well to survive. Cheers Cat! I had no idea flowers could be so supportive of each other in their friendly competition. It’s win-win for everyone including us. Off to read up on gloriosa daisy now. Oh yes. Very supportive. It’s a natural tendency to cheer on your leader. 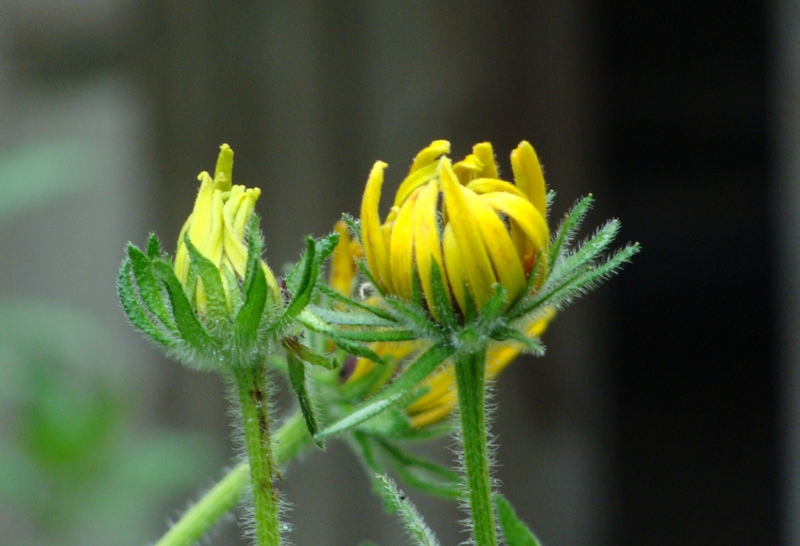 This “Daisy” is a member of the rudbeckia family. 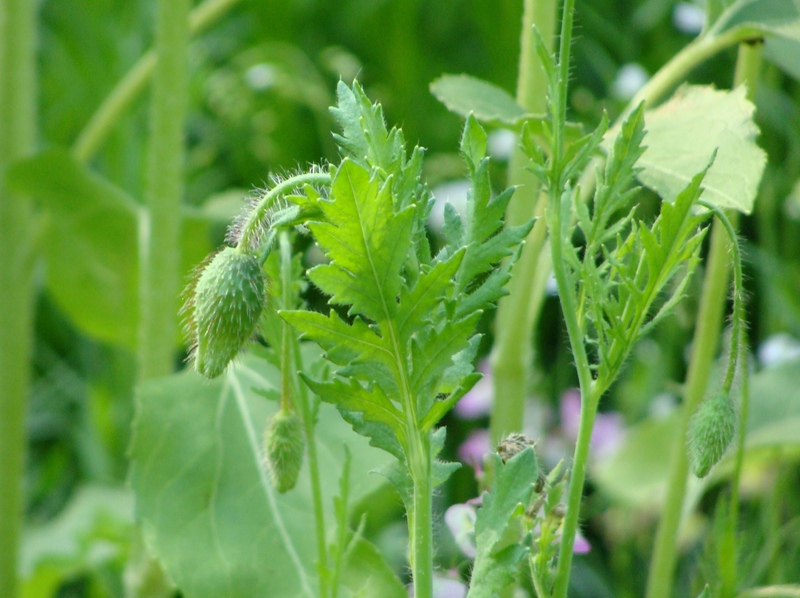 I grow it by direct sow method with seeds I purchased from Vermont Wildflower Farm. I cast out a bunch the last couple years and they are really gaining steam as perennials. They bloom beautuifully through the much of the summer. With so many coming from seed I have had the chance to share many with family and friends. Win-Win indeed! 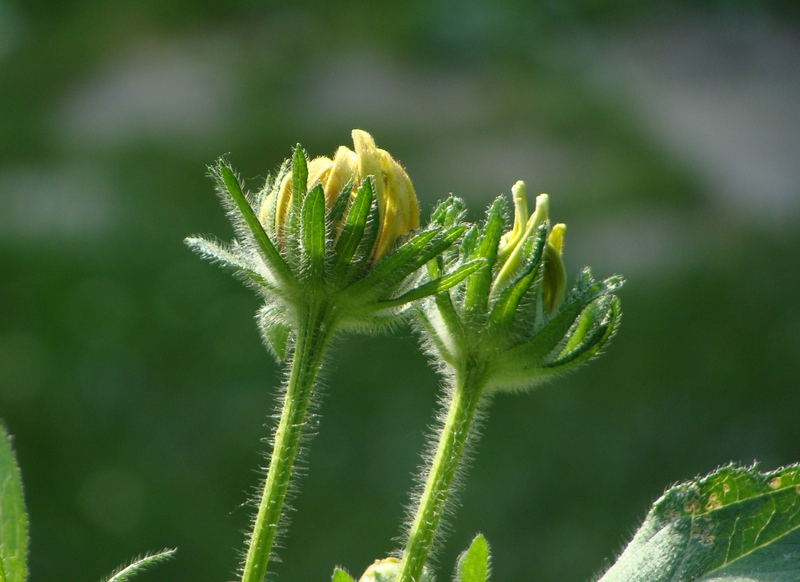 Thank you for reminding me that photos of flowers in buds can be as beautiful and interesting as flowers in full bloom…perhaps even more so! Your storytelling and photography is so gorgeous! Thank you Julie. You are very kind and generous. I’m thrilled that you like my work. It’s my pleasure to share, knowing that a few folks seem to like it. Cheers. Wowser! Thats quite a lot. :). We are very lucky to live in such a nice place. Thanks so much for reading. I love your chatty flowers. 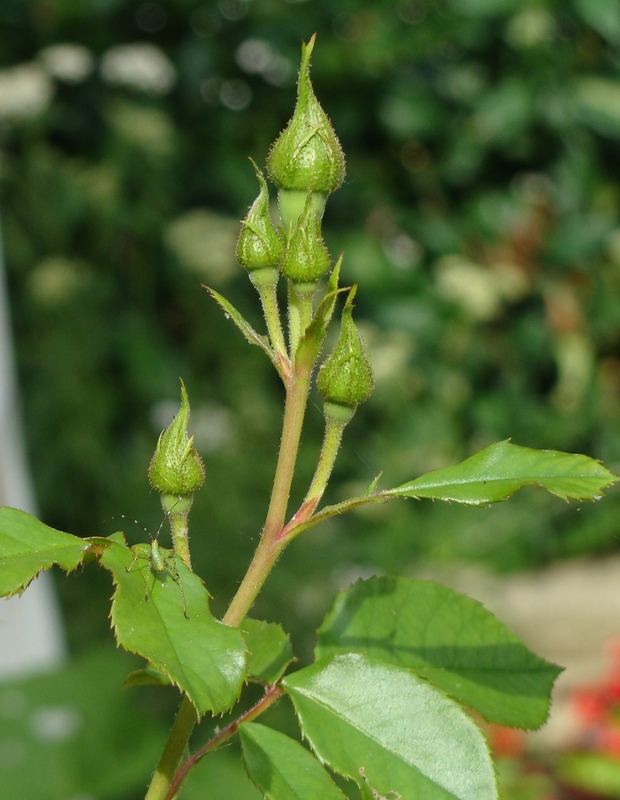 I can’t wait to hear them tell the tales of a full summer bloom. I live in Kula, Maui and look forward to the Jacaranda blooms when spring finally arrives. There are hundreds of the trees here and for a few weeks it’s like living in a purple haze. But, alas, the flowers fade fast and fall. However, I love wading through the purple path to my car. I do wish I had the photographic skills you possess.